Be a King at Home: A Beautiful House Not to Be Missed! Spacious rooms, abundant fenestration, kitchen to envy … and much more! A rare gem not to be missed! You will be charmed as soon as you set foot… A large open area, composed of the bright living room and the dining room, as well as the kitchen and a cozy bathroom (from which you will have access to a room washing machine closed) welcome you to the ground floor. You will notice immediately the superb wooden floors, present in all the rooms of the ground floor and the floor, except, of course, of the room of water and the bathroom (ceramic). It is very often the small details that make all the difference, especially when it comes to choosing a house for sale rather than another… This one has no doubt a head start on the other! The recessed lights that you will find on the entire floor of the ground floor are just one example of the uniqueness of this property. Upstairs, three bedrooms of good dimensions are at your disposal. The master bedroom has a large walk-in closet and lots of light thanks to the large window. And what about the bathroom? Its independent shower, its freestanding bath, and its Zen style will allow you to relax cozily! The basement will offer you the possibility to let your imagination run wild; the plumbing for a second full bathroom is already on site and a fourth bedroom can be installed, in addition to the large family room already laid out. The backyard will quickly become the favorite spot for your children’s play time, but also for BBQ afternoons with friends and family! Do not miss the opportunity to hold a dream home in a peaceful town! Close to major highways, the Candiac station (with an incentive parking of more than 340 places), which will take you to downtown Montréal in about an hour, several shops and close to a beautiful green space, this house for sale is the one you were expecting! 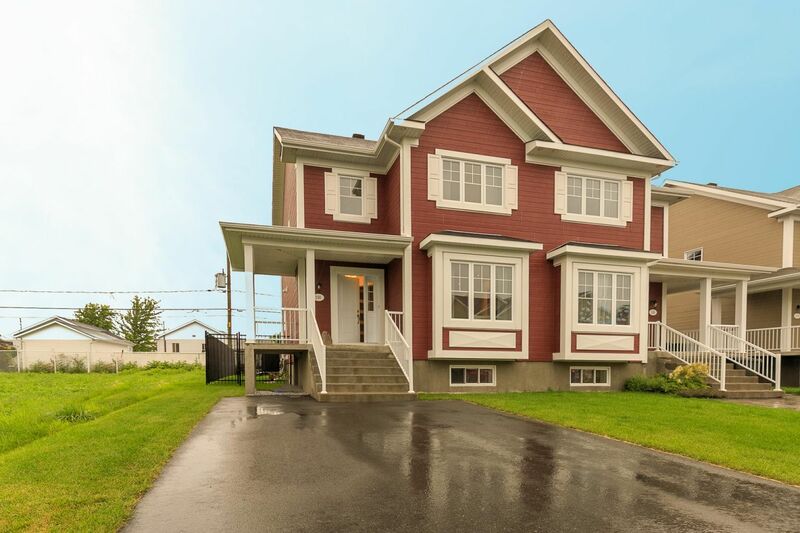 You will find all the details about this house for sale located at 116 rue Foucreault in Saint-Philippe by consulting its data sheet (# MLS: 28303021) and by contacting Carl Fafard and Hughes Bouchard, real estate brokers of Team Fafard of RE/MAX Platinum. You have in mind to own a house that will live up to your expectations? There it is!